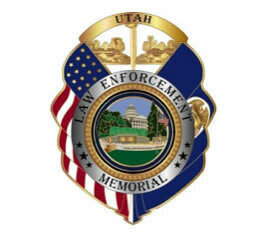 Officer Riley was shot and killed while escorting a suspect to jail in SLC. A reserve officer, the 34-year-old victim had located two suspects wanted in connection with an armed robbery that occurred just minutes before. Officer Riley and his prisoners were walking northbound on State Street at approximately 180 South when one of the men produced a pistol and shot the officer twice. The crime occurred in full view of a large crowd of patrons at the Orpheum Theater. The men fled but the shooter was later captured and convicted of first-degree murder. He was paroled in 1920. Officer Riley was married and the father of a young daughter. He is buried in Salt Lake City Cemetery. His bronze name plaque is sponsored by the Salt Lake City Honorary Colonels.